There is a brand new challenge at Morgan's Artworld. The theme for this fortnight is 'Use a Sentiment'. Please come on over and join us. The image I used is KQ fairy. 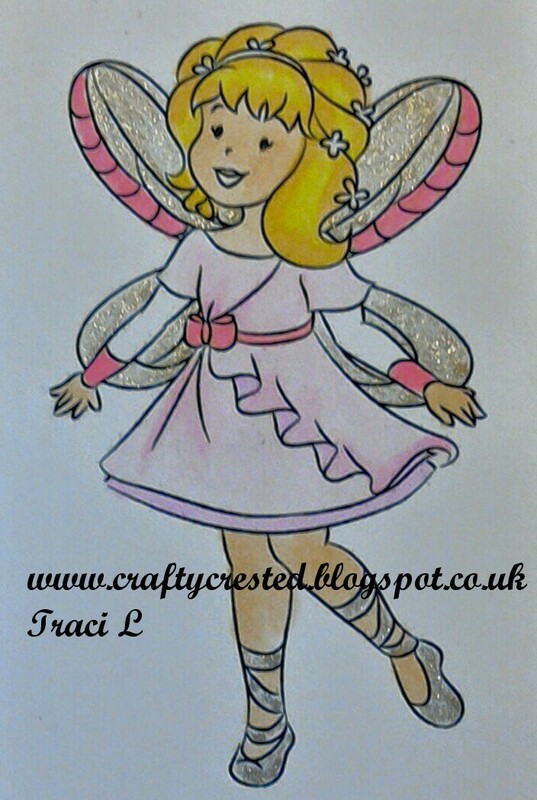 That fairy is adorable and I love the sentiment you used with it! Very pretty card! 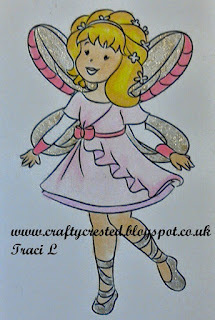 Very pretty card, I love all the sparkle and the lovely image. Thank you for sharing your work with all of us at Crafty Boots Challenges. Lovely card! Thanks for playing along with us at Scrapping4Fun Challenges. Hope to see you again soon!! HUGS! 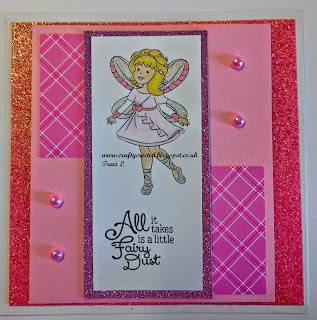 Beautiful card, you did lovely work :-)) Thank you for joining the challenge at Scrapping4fun. Hope to see you again next time. wow nice work ! Thanks for joining us at Cute As A button. A really pretty card - love the sparkle.